After launching the Lenovo Z5 smartphone in China, Lenovo has been teasing about the Lenovo Z5 Pro. At the Lenovo Tech World event in Beijing, the company has showcased the Lenovo Z5 Pro without mentioning any details. While we think it to be a pre-production unit, it at least gives us a glimpse of its design. The Lenovo 5 Pro will also be the company’s first smartphone to feature an in-display fingerprint sensor. As seen with the Vivo NEX and OPPO Find X smartphones, the upcoming Lenovo Z5 Pro also comes with a complete bezel-less and notch-less display. However, we can still notice the thin bottom chin. The display on this device comes with rounded corners and sports an in-display fingerprint sensor. The slider on the top will sport the front-facing cameras. We also expect the company to introduce Face ID like tech with the Z5 Pro. We yet to get the rear view of the device. However, the leaks suggest the Lenovo Z5 Pro to sport dual cameras. Unlike OPPO, Lenovo might not hide the rear cameras. 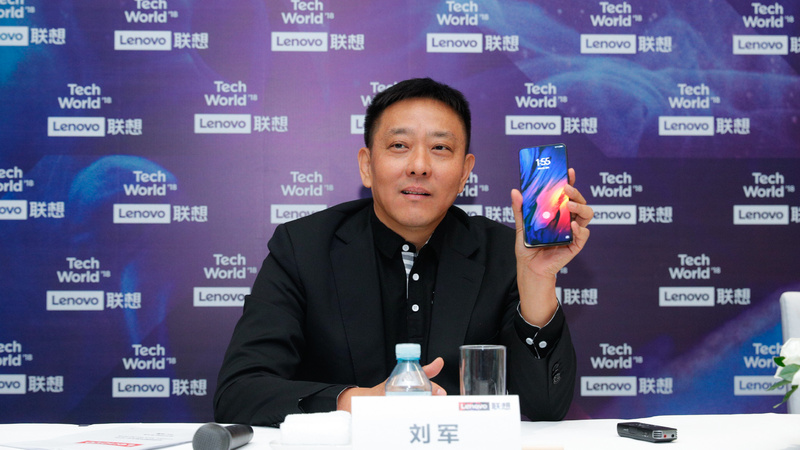 The company is expected to officially launch the Lenovo Z5 Pro in China in October. The device will run on Android 8.1 Oreo with the highly customized ZUI skin laid on top. Stay tuned on PhoneRadar for more details about the upcoming Lenovo smartphones!